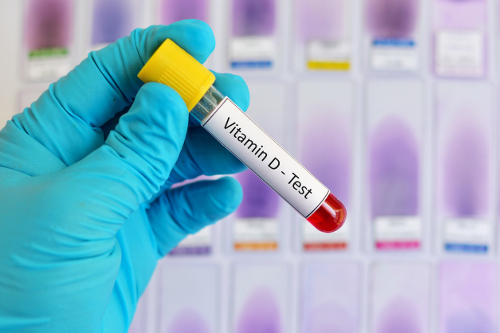 Home » Food and Nutrition » Should You Test for Low Vitamin D Blood Levels? The hype isn’t confined to health food stores or the media. Studies show patients are lining up at a high rate for blood tests to measure vitamin D, both on their own accord and as per doctors’ orders. A recent study focused in Maine showed that out of 800,000 patients, one in five had at least one test to measure blood levels of vitamin D over a three-year period. More than a third had two or more tests, often to look into complaints like “fatigue” and “malaise.” What’s more surprising is that virtually none of the patients had osteoporosis, cracking bones, or other diseases that would impact vitamin D absorption or provide any real evidence of vitamin D deficiencies. So, why were they there? Hype. Vitamin D has become sort of a catch-all vitamin for illness—without much sound evidence. It’s become a central focus and potential treatment for things like depression, fatigue, muscle weakness, heart disease and even cancer. And because there’s so much hype around it, you may feel like it’s central to your health. This likely explains the massive jump in testing—blood tests conducted to specifically evaluate vitamin D between 2000 and 2010 increased 83-fold, according to the Centers for Disease Control and Prevention—even though an overwhelming number of patients have blood levels in the normal range. Which brings us to another difficulty: There is little agreement on what normal or healthy levels of vitamin D are among different agencies. But more on that later. What we know for sure is that you need vitamin D to absorb calcium and promote bone growth. Without it, you could be at risk for soft or brittle bones, misshapen bones, and conditions like osteoporosis. Vitamin D is also needed for a number of other important body functions, and certain health authorities say it’s essential to combat a variety of health risks and promote better health. One of these organizations is the Vitamin D Council. It’s also been noted that people with higher levels of vitamin D have lower risks of disease, although there is no definitive proof that low vitamin D levels cause disease or that supplements work to lower risk. What Are Adequate Blood Levels of Vitamin D? So, this is where things can get murky, because there are varying perceptions of how much vitamin D people should have in their blood. One thing most agree on is that less than 12 nanograms per milliliter (ng/ml) qualifies as a deficiency. However, there are some studies that suggest less than 20 ng/ml indicates low vitamin D.
Healthy blood levels are classified as anywhere between 20 ng/ml to 80 ng/ml. To reach the higher levels, supplementation may be required, especially if you spend a lot of time indoors or live in a climate with a gloomy dark winter. The Vitamin D Council suggests dosages of up to 5000 IU units per day to maintain a blood level of 50 ng/ml, while the American Endocrine Society recommends 2000 IU per day to keep levels at 30 ng/ml. It’s important to know that most people are healthy with 20 ng/ml, and it’s currently considered “normal.” The benefits of blood levels higher than that have yet to be conclusively determined. The only way to know how much vitamin D is in your blood is to have a blood test, and I wouldn’t suggest doing one without a doctor’s recommendation. It might just be a waste of money. The symptoms of low vitamin D may include low energy, depression, obesity, and aching bones. You could also be at risk of deficiency if you live in a darker climate, spend little time outside, are over 50 years old, or always use sun protection when outside. Your body doesn’t make vitamin D on its own; therefore, it must be obtained throughout outside sources. The best source of vitamin D is natural sunlight, which may sound a little bit scary for those concerned about burns and skin cancer. You don’t need to sit out all day in the sun to get an adequate amount. Direct exposure for 20 to 45 minutes is all you need, and is dependent on complexion. The lighter your skin, the less time you need. After you’ve hit your time, slap on the sunscreen, head inside or do whatever you like to do with your days! You can also get vitamin D through supplementation, and doing so is typically safe to a point. Unless otherwise instructed by your doctor, 1,000 IU per day is unlikely to cause harm. However, because vitamin D is a fat soluble vitamin, toxicity is a risk. Getting too much vitamin D (by way of supplements) can lead to poor appetite, nausea and vomiting, weakness, and potential kidney damage. The issue with vitamin D these days is not so much that taking a small supplemental dose daily is harmful, but figuring out whether the low vitamin D tests and supplementation are necessary. And for many, it appears that they aren’t. “Testing for vitamin D” Vitamin D Council, 2017; https://www.vitamindcouncil.org/about-vitamin-d/testing-for-vitamin-d/, last accessed April 13, 2017. “Am I deficient in vitamin D?” Vitamin D Council, 2017; https://www.vitamindcouncil.org/about-vitamin-d/am-i-deficient-in-vitamin-d/, last accessed April 13, 2017. Tello, M., “Vitamin D: What’s the right amount?” Harvard Medical School, December 19, 2016; http://www.health.harvard.edu/blog/vitamin-d-whats-right-level-2016121910893, last accessed April 13, 2017. DeNoon, J., “The Truth About Vitamin D: Why You Need Vitamin D,” Web MD, November 30, 2010; http://www.webmd.com/osteoporosis/features/the-truth-about-vitamin-d-why-you-need-vitamin-d, last accessed April 13, 2017. Kolata, G., “Why Are So Many People Popping Vitamin D?” New York Times, April 10, 2017; https://www.nytimes.com/2017/04/10/health/vitamin-d-deficiency-supplements.html?rref=collection%2Fsectioncollection%2Fhealth&action=click&contentCollection=health&region=rank&module=package&version=highlights&contentPlacement=1&pgtype=sectionfront&_r=0, last accessed April 13, 2017.